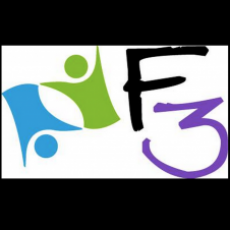 F3 started with the dream of providing a true family activity, fitness, and enrichment center for Westborough and the surrounding communities, where children and adults alike can have fun, develop new skills, and stay fit and healthy. We have a passion for the art and science of movement and skill development. We believe in a quality and enjoyable learning environment that positively encourages and develops the body, mind, and spirit. With motivation and determination, success is achieved by working together to realize our dream and vision. We strive to provide the entire family'from infants to grandparents'with a solid foundation for years of personal achievement and success. Our programming is driven by community input, with the goal of providing world class class offerings for both children and their parents.